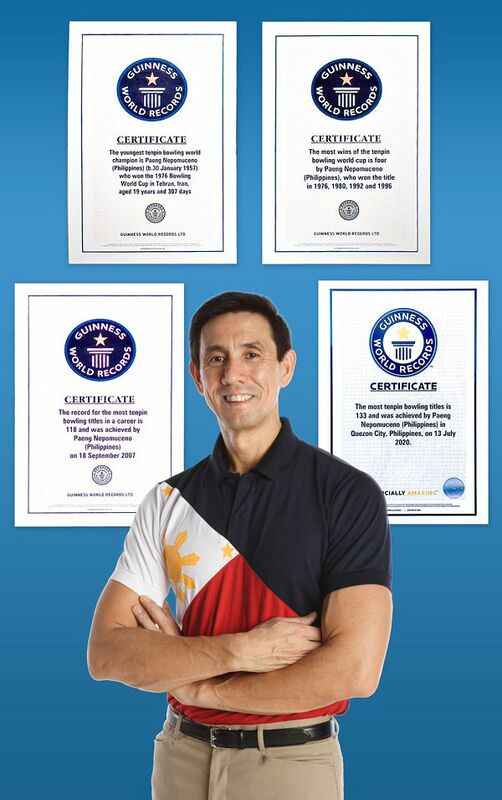 Rafael "Paeng" Nepomuceno is six time World Bowling Champion and is acknowledged worldwide as the greatest international bowler of all time. 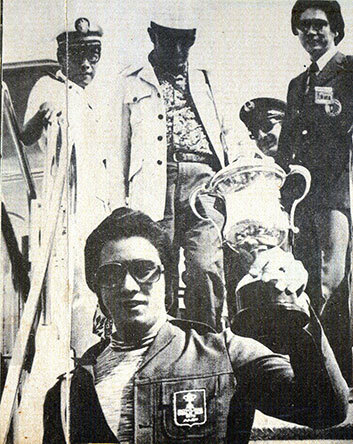 He currently holds the World Record for the most career titles won in 6 different continents, currently 131. 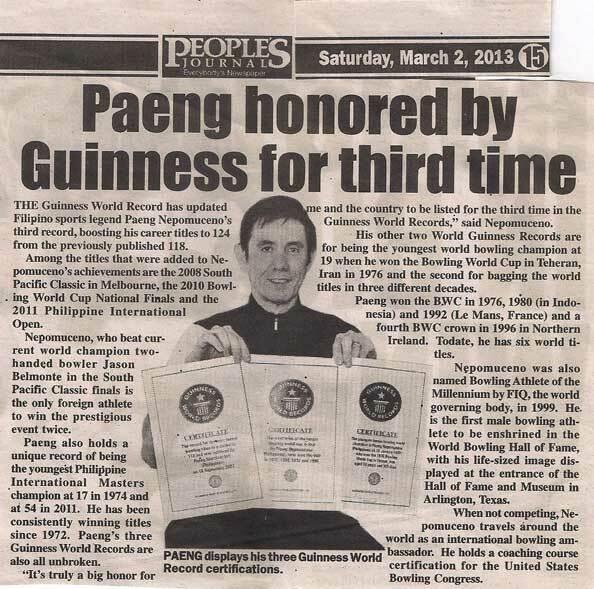 He is listed in the Guinness Book of World Records and has three unbroken records up to this date. 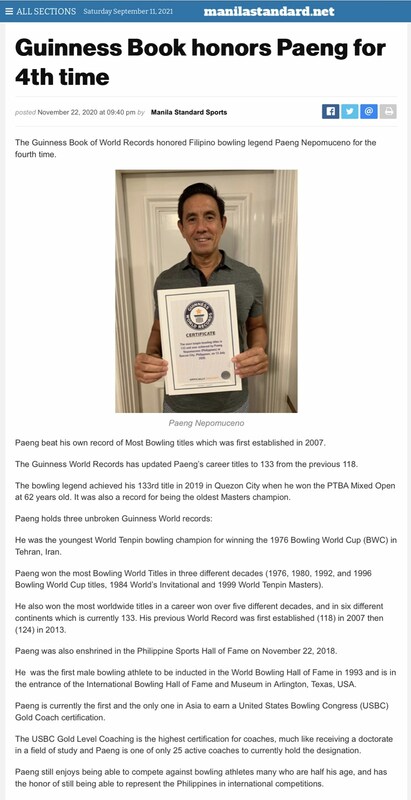 Paeng has been bowling since he was 12, winning his first major tournament at 15, and his first Bowling World Cup at 19, achieving a rare Grand Slam by winning the Philippine Open, Asian Championships and the Bowling World Cup in a span of 5 months in 1976. 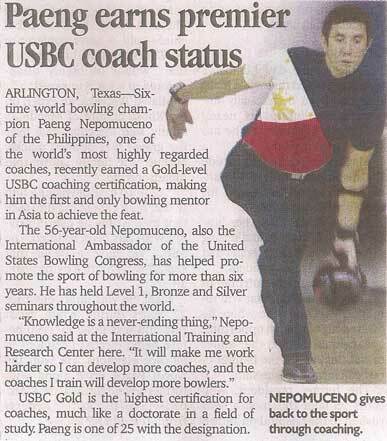 Paeng is the first and the only one is Asia to earn a USBC (United States Bowling Congress) Gold Coach certification. USBC GOLD LEVEL COACHING is the highest certification for coaches, much like receiving a doctorate in a field of study and Paeng is one of only 25 active coaches to currently hold the designation. Paeng currently still actively competes, enjoying being able to compete against bowling athletes many who are half his age, and has the honor of still being able to represent his country at international competitions. 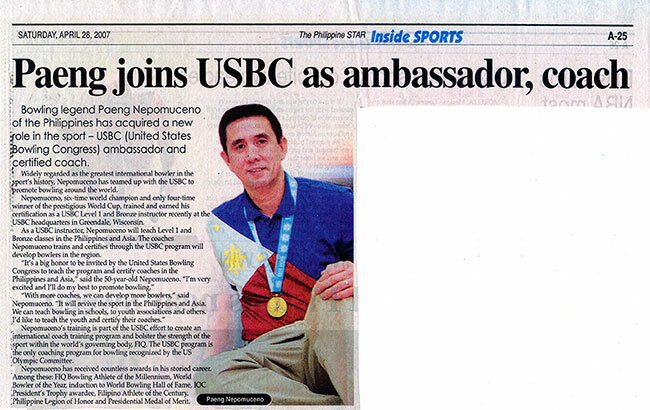 He is also the Head coach of the Philippine bowling national mens and bowling team. He is also a senior lecturer professor at the University of the Philippines and teaches bowling. Paeng truly is an ambassador for his sport and promotes bowling wherever he goes - giving clinics, exhibitions and personal appearances.